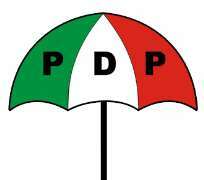 The All Progressives Grand Alliance, APGA, yesterday, accused the Peoples Democratic Party, PDP, of conspiring with the Army, Police and Independent National Electoral Commission, INEC, to rewrite last Saturday's National Assembly elections results and announced a falsified one in favour of the PDP. A member of Board of Trustees, BoT of APGA, Chief Rommy Ezeonwuka, who made the accusation in a telephone chat with newsmen, said the results announced yesterday by INEC which gave PDP victory in all the three senatorial zones and 11 House of Representatives seats, was exactly the opposite of what APGA scored during the exercise. He, however, expressed optimism that APGA would go to the tribunal and other courts of competent jurisdiction to recover its stolen mandate. But the Director-General of Princess Stella Oduah Campaign Organisation, Chief Edwin Pandola Okwuosa, told Vanguard on phone that the landslide victory recorded by Princess Oduah, former Aviation Minister and PDP candidate for Anambra North senatorial zone, was a reflection of her general acceptability by the electorate in the zone. Okwuosa noted that the total of 143,478 votes scored by Oduah against APGA's Dubem Obaze's 70,906 votes was a great margin to show that Oduah had the people's confidence which prompted such an overwhelming mandate. He, therefore, commended the electorate for the confidence reposed in Oduah and assured them that she would give them effective representation as contained in her manifestoes.